7 Nights from £359 inc Flights, Hotel & VIP Transfers - £108 OFF! 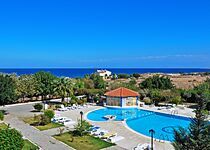 The Lapida Hotel is a friendly and comfortable family managed hotel in Lapta, a great-value resort for peace, tranquility and good old-fashioned Cypriot hospitality. 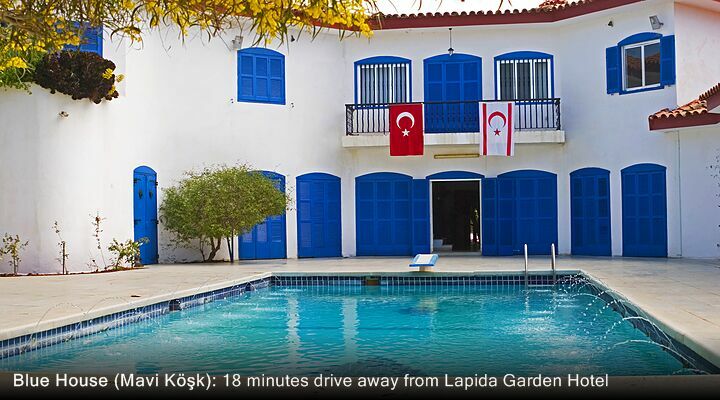 Small and friendly, the two star Lapida Garden is idea for peaceful holidays in the Cyprus sunshine any time of year. 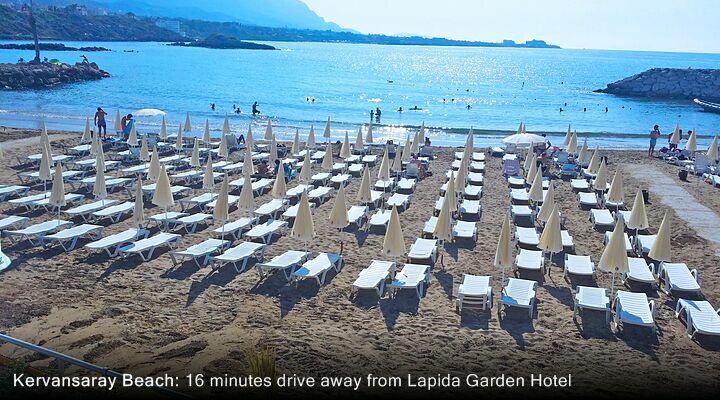 Great value holidays in North Cyprus don't have to involve big hotels in built up areas! 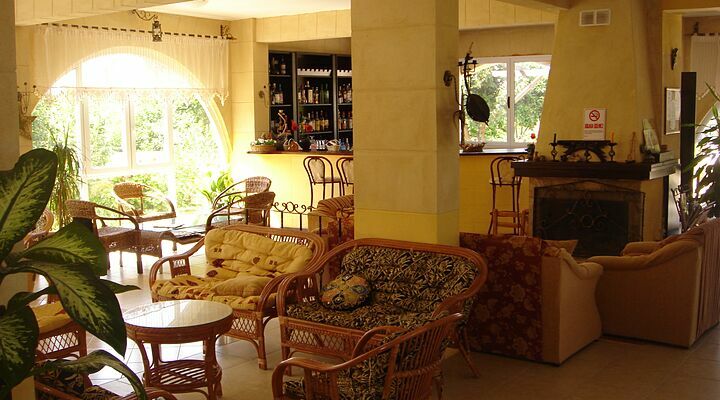 The Lapida Garden Hotel is a quiet and peaceful hotel tucked just within the village, with the sea below and the mountains above. 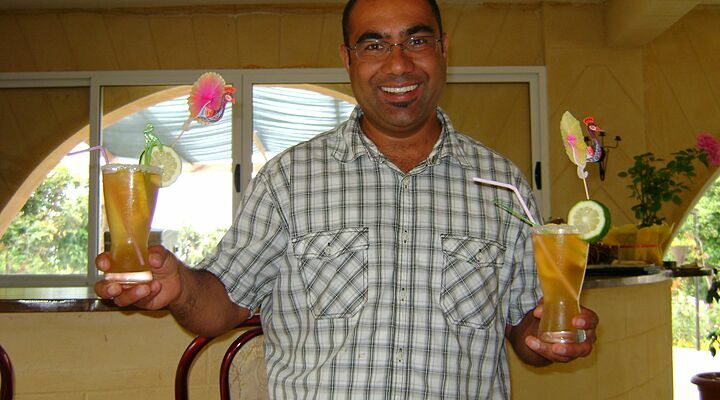 From the moment you arrive, you'll be welcomed by Fethi, his family and his friendly and polite staff, to a hotel that in our opinion is 3 star Cypriot hospitality at its very best. We love the atmosphere here and we're sure you will too. The Lapida Garden Hotel certainly lives up to its name, as you wander to the swimming pool through gardens rich with flowers and shaded by citrus trees. Swim in the immaculately clean pool while the kids splash in their own separate pool. Laze away your days on the sun-drenched terraces or in a hammock in the shade of a tree. 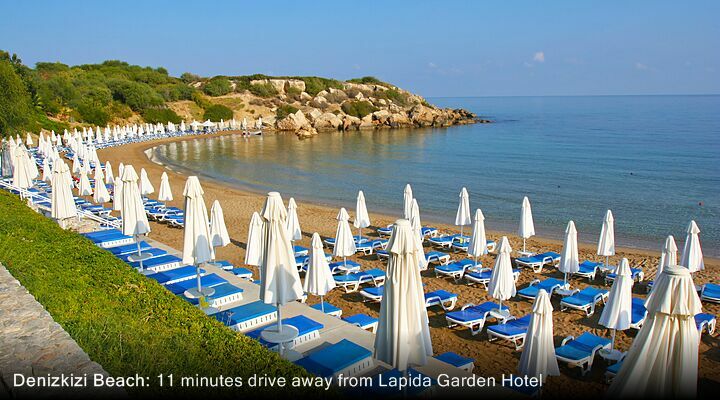 Like to learn more about the Lapida Garden Hotel? 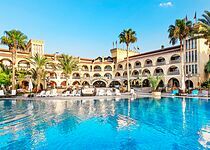 Call the Go North Cyprus team on 0800 612 6600 and ask us all the questions you want - we live here all year round and we've visited every hotel we feature. The Lapida Garden Hotel only has eleven rooms, each spotlessly clean with an en-suite bathroom and views out across the garden to the mountains, and a side view of the sea too. 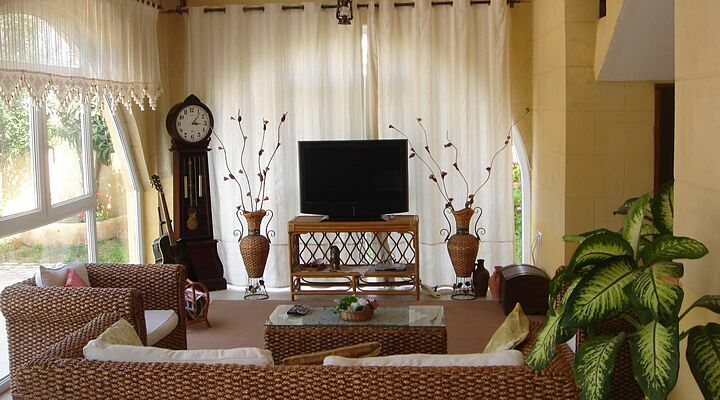 Each room is clean, and light, with air-conditioning, mini bar and a daily maid service. The hotel is also decorated with antiques and items of ironwork made by the owner, so there's always something to catch your eye or engage your interest. Whether you want to chill out on the shady terrace with a drink from the bar, sit back with a book from the lobby library, or use the wifi to send pictures home, there's always a quiet place to relax at the hotel. One of the joys of staying at a small North Cyprus hotel is that you don't have to queue for your food and your breakfast waiter will definitely know you by name long before the end of your stay! The cool and airy restaurant here specialises in Turkish Cypriot food, freshly prepared and cooked by the owner's grandmother, so it's a great way to try all kinds of traditional dishes. Make sure you try the melt in the mouth slow-roast lamb, cooked in the hotel's own traditional clay oven on their popular BBQ nights. 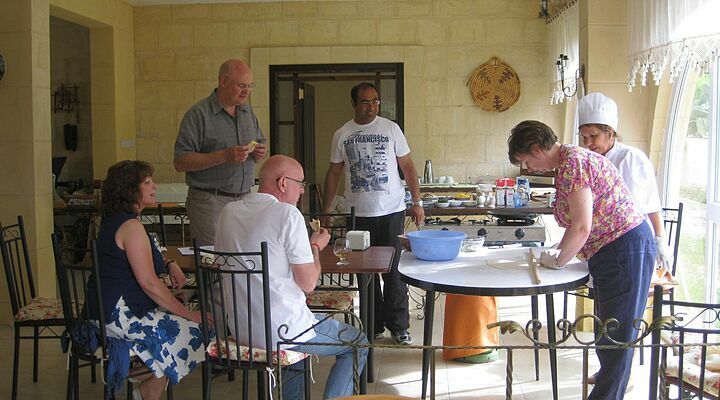 You can even learn grandmother's kitchen secrets in her popular cookery classes! 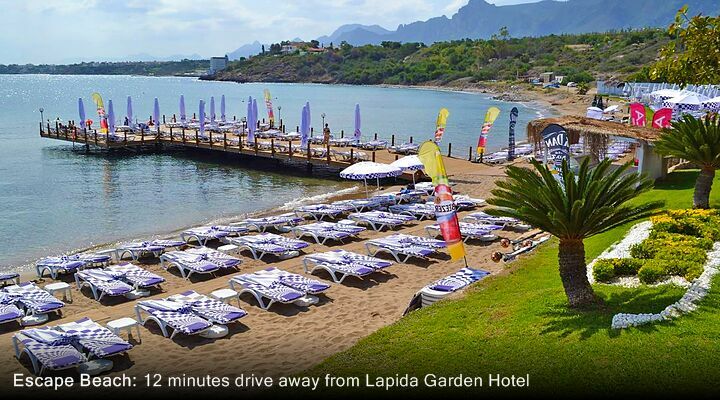 The Lapida Garden Hotel is just a short distance from local beaches including the popular Sunset Beach. Stroll down towards the sparkling Mediterranean Sea to discover small local restaurants overlooking the sea, or the bustling bars and cafes along the coastal road. Or, catch the local bus (dolmus) into Kyrenia for a 30 minute ride along to coast ending at the historic harbour area. Owner Fethi is a mine of information on things to see and do in the Lapta area, and sometimes runs his own sightseeing tours in the family's 4x4. 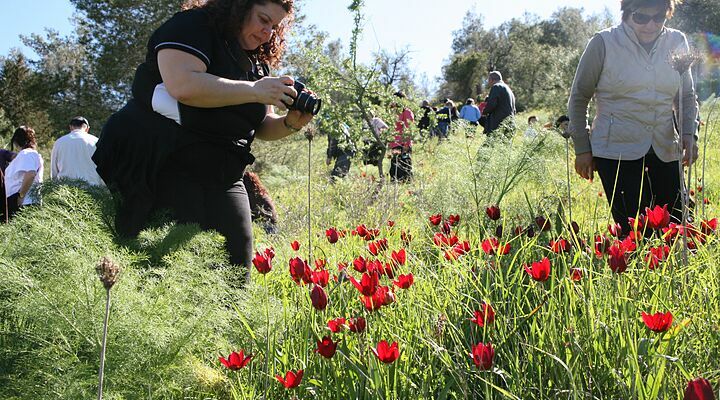 Just ask and he'll point you to hidden gems to explore yourself in this quieter part of Northern Cyprus, whether wild flower walks, horse riding, turtle watching, exploring Roman remains or drives to hidden mountain villages. With a private taxi transfer included with every GNC package holiday, and flights to North Cyprus from several UK regional airports, enjoy a more civilised way to arrive on your North Cyprus holiday. Transfers take just 60 minutes in air-conditioned private taxis, not crowded transfer buses.